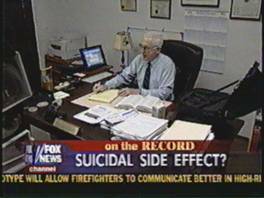 Given the public health focus and controversial nature of the antidepressant suicide problem, Don's role in these issues has drawn national and international coverage, especially as it has concerned the antidepressant Paxil. 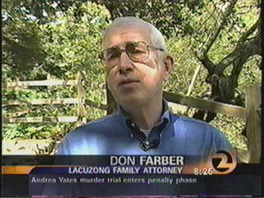 He has been interviewed on the overseas service of the British Broadcasting Corporation ("BBC"), National Public Radio, by the Canadian Broadcasting Corportion, and numerous national print media outlets. 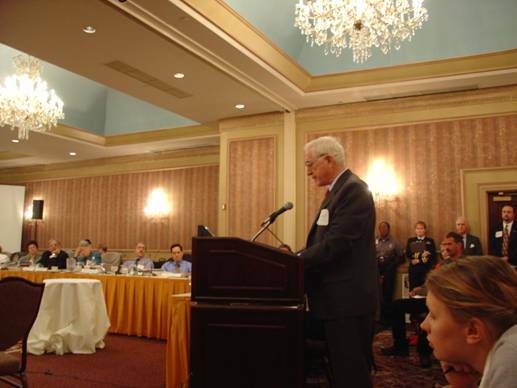 Don addresses the February 2, 2004 public session of the FDA's expert panel convening in the Washington DC area on antidepressant suicidality resulting from antidepressant use. 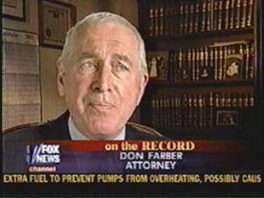 Don is interviewed on Fox News Channel in November, 2002, by Fox correspondent Douglas Kennedy, in a 3 part series covering antidepressant suicidality, and Don's allegations that Glaxo SmithKline "cooked the books" in getting Paxil through the FDA's regulatory system in 1992. 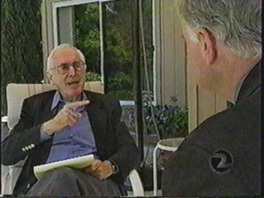 Kennedy won a journalistic award for the series. 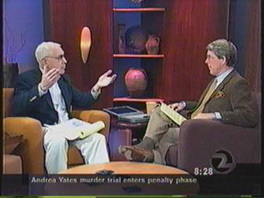 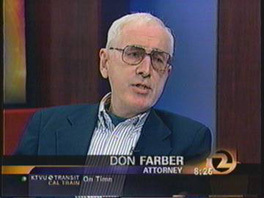 Don is interviewed by KTVU Channel 2 outside his office in San Rafael, California regarding the murder trial of Andrea Yates, who drowned her children after taking and stopping antidepressants. 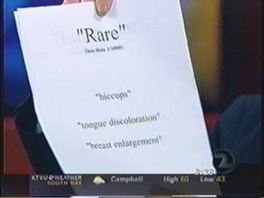 Don appears on Channel 2's "Morning Show"
Don makes a point to Ross McGowan and Bay area "Morning Show" viewers that Glaxo SmithKline is all too eager to warn the public about Paxil's "Rare" adverse effects of "hiccups," "tongue discoloration," and "breast enlargement," but had refused to warn at that point about the far more serious and more frequent side effect of "suicide." 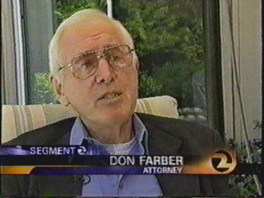 Don admits he is a passionate defender of antidepressant victims, as he tells KTVU science editor John Fowler, and confides to Fowler on the Sunday night news that he wished Congress would have lined up pharmaceutical executives in hearings in a similar manner to tobacco executives a few years ago and demanded to know what they knew about antidepressants and suicide years ago--as the tobacco industry was queried on smoking and cancer well before warnings on cigarettes were mandated. 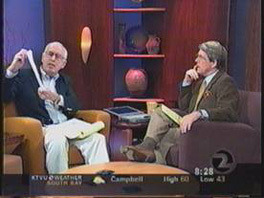 KTVU is the most watched local Bay area television station for local news. 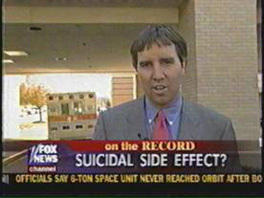 After the FDA issued an official request to antidepressant makers on March 22, 2004 to include a suicide warning on their antidepressant labels, legal publications such as the national "Lawyers Weekly USA," the periodical queried lawyers with knowledge in the area, including Don, who responded as the article indicates.